We Guarantee You Will Be Served The Freshest Seafood In Town! Lazy Days South is the second location for owners Michelle and Lupe Ledesma. 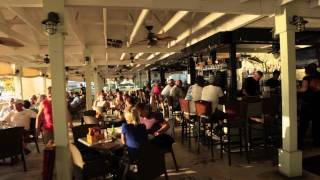 Their popular Islamorada Lazy Days restaurant has won numerous awards for it's delicious cuisine, fresh seafood and outstanding service. In fact, Lazy Days has won the award for "Best Overall Restaurant" every year since 1996 in the annual Upper Keys People's Choice Awards. Lazy Days South features the same delicious menu that everyone loves, plus a variety of daily specials. The perfect venue for any occasion! You are welcome to use one of the menu options that we have used for previous dinners or you may choose items from our regular menus to make your own special menu. Our sample menus are already priced with tax and tip so you will know what to expect. 48 Hours Advance Notice Required.